You’ve never experienced an environmentally-friendly toilet like ours before. Green Flush Technologies has worked hard to build the most Earth-friendly modular flush restroom available. We’ve maximized water and energy conservation to bring you sustainable restrooms that support the environment and provide a pleasing experience for visitors. Optional solar power – This option provides all the sun-generated power needed to run your facilities day in and day out. Extreme water conversation – We have engineered our restrooms to reduce water consumption up to 70% compared to conventional flush restrooms. Our toilets use as little as half a gallon of water per flush. We’ve added limited flow sink faucets and waterless urinals. We even offer the option of reusing sink water for flushing. 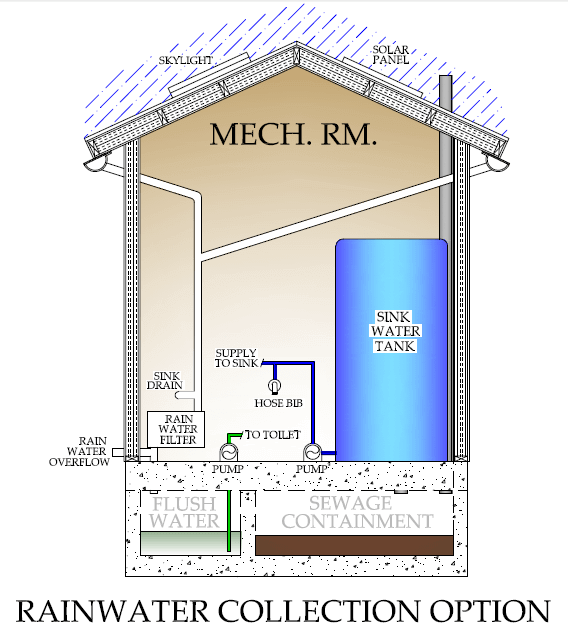 In some environments, our restrooms can run off of rainwater collected from the roof. Minimal ground disturbance – for a reduced environmental impact. Our installations produce minimal ground disturbance due to a small excavation footprint and eliminating all trenching. Geothermal energy transference – when the restroom is connected to a septic or sewer line and is equipped with a modular vault foundation, the restroom fan can add fresh air into the cabin circulating it through the buried concrete vault. This “root cellar” effect can reduce summer temperatures in the cabin up to 15 degrees F on hot days. As is the case with all flush toilets, our models keep sewage odors out of the inside and outside environments, keeping the natural setting smelling the way it is supposed to.